The P3110 from Ibanez is part of the promethean range. Promethean amps feature a simple 3-band tone control to adjust the tonal character as well as the Phat control that provides enhanced bottom and high end tone. The P300H/P3110/P3115 feature an internal limiter. The included aux input allows you to play along with a connected MP3 or CD player. The headphone out is great for bedroom jam sessions or sound checks at rehearsal. The XLR output sends a balanced signal to the mixing console and/or main PA system in any live or studio situation. GND Lift can cut ground loops with other connected equipment. The P3110/P3115 feature an on/off switch for the tweeter. This allows for even more tonal change. By turning the tweeter off, you can eliminate unnecessary high frequency overtones. P3110 features an external speaker out to connect to an additional speaker cabinet. 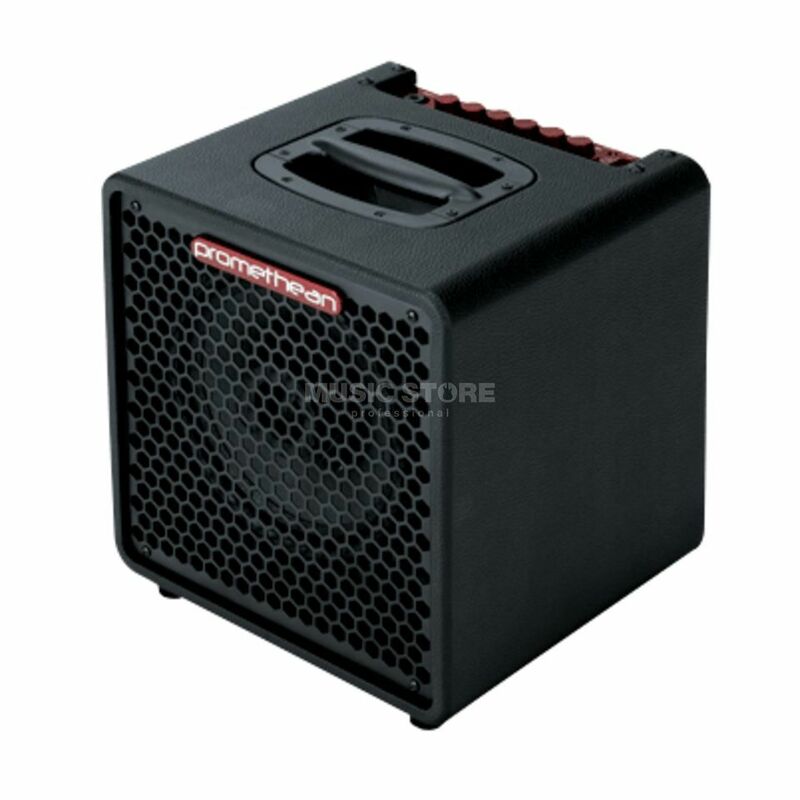 This is a small combo (10 speaker), and also very light, ideal for home practice with "real" bass sound (low end), which sometimes is lacking in such small packages. But dont let the size fool you, it truly is a powerful little piece, amazingly loud for its size.It has a solid and well-thought construction and a very nice finish, though controls could be of higher quality. The handle built within the case is a good idea and helpful if stacking is needed. Overall, a recommended product from a manufacturer that has already proven its ground in guitar making and shows it can also do so in bass combos.